Wahoo announced the KICKR CORE at Eurobike last July along with an updated KICKR 2018 and the Headwind. 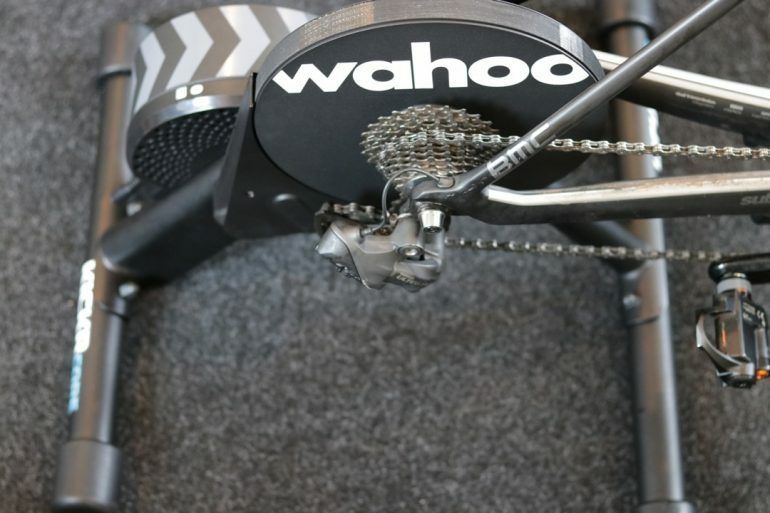 The CORE is Wahoo’s attempt to enter the midrange direct drive smart trainer market and go head to head against the Tacx Flux and the Elite Direto. Two months later, the KICKR CORE is now in stock and you can finally order yours. 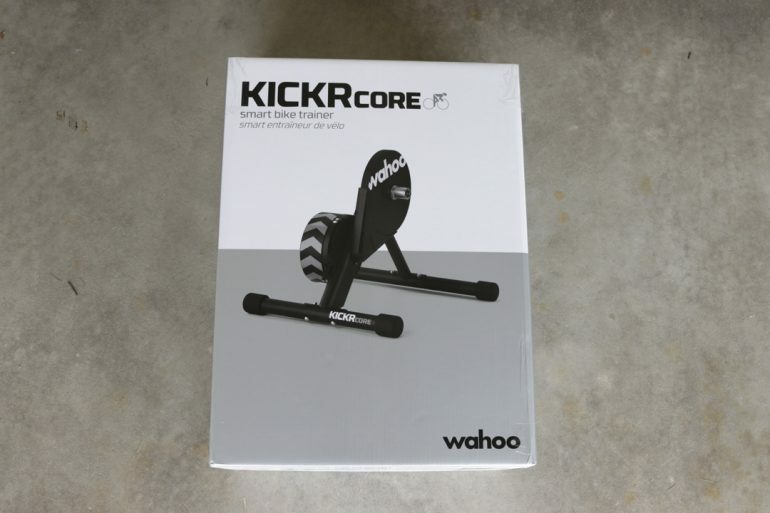 As usual, a little disclaimer first: Wahoo Fitness sent me this KICKR CORE to use for this review and I will be returning it back to them. 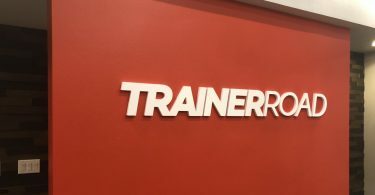 My review below is my honest experience with the trainer and not paid by Wahoo in any way. DESIGN: The KICKR CORE is built with the same steel frame as the Wahoo KICKR. Unlike the KICKR, the CORE frame doesn’t have adjustable legs and height isn’t adjustable either. MAXIMUM SLOPE: The CORE can simulate gradients up to 16%. ACCURACY: The CORE has a maximum power output of 1,800 watts and +/-2% accurate. More on my accuracy test below. BIKE COMPATIBILITY: The CORE is compatible with 24″ RD / 24″ MTB / 650c RD / 26″ MTB / 700c RD / 650b MTB / 29″ MTB and compatible with 130/135mm QR, 12×142, and 12×148 Thru Axle hub. CASSETTE COMPATIBILITY: The CORE is compatible with 8/9/10/11 Speed SRAM/Shimano. Cassette isn’t included. CONNECTIONS: Smart Bluetooth, ANT+ FE-C compatible. The KICKR 2018 and KICKR CORE are still not Bluetooth FTMS compatible. NOISE LEVEL: The CORE comes with the same new built design as the Wahoo KICKR 2018 and it’s very quiet. ROAD FEEL: The CORE is built with a 12 lbs flywheel giving you as good of a road feel as you will get on an indoor trainer. The flywheel is almost as heavy as the Wahoo KICKR 2017 model. METRICS: Transmits power and speed but no cadence. The KICKR CORE comes unassembled. You need to provide your own cassette and cadence sensor. You can purchase an 11-speed Shimano Ultegra cassette for about $65 or if you are like me and still use a 10-speed cassette then you can save few dollars and get a 10-speed Shimano Ultegra cassette for about $50. If you need a cassette plier, the Feedback Sports cassette plier and Cassette Wrench are one of my favorite and easy to use. Assembling the CORE isn’t that difficult. You just need to remember the front leg is the long leg and the rear leg is the shorter leg. The logo should be on the outside. I made a video on how to put the legs together which you can watch here. Once you assemble the legs and install the cassette, you should be on your way. 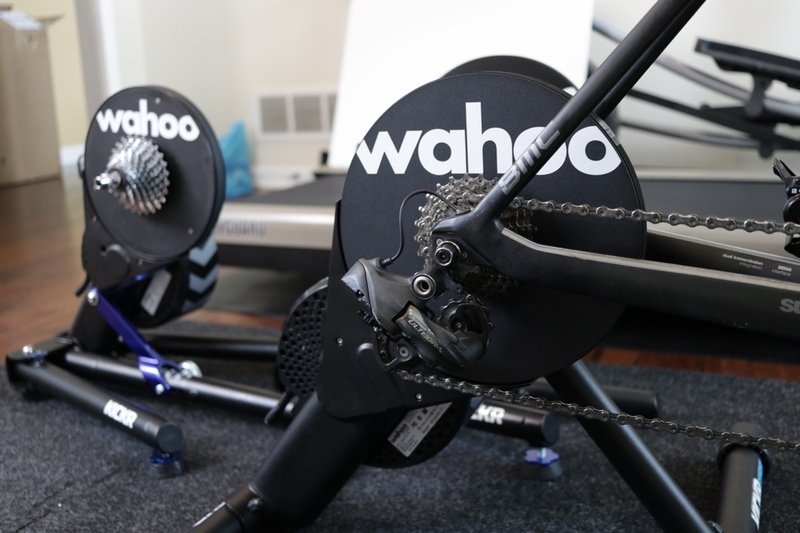 Plug it into a power outlet and pair it to the Wahoo Fitness app which you can download from the Google Play store or iTunes depending on your device. Check to see if there is a firmware update and run the calibration. To calibrate the KICKR CORE, I always prefer to use the Wahoo Fitness app for my first calibration. You can still use other applications such as Zwift or TrainerRoad, but for consistency, I always start with using the trainer’s manufacturer own app to run the initial calibration. Always warm up your trainer for about 10-minutes before you start the calibration. Once you do it for the first time, there is no need to run it again as long as you don’t move the trainer or switch bikes. The KICKR CORE is Bluetooth and ANT+ FE-C compatible. Wahoo hasn’t adopted Bluetooth FTMS into their trainers yet. For Wahoo, this isn’t that big of a deal since most apps are already compatible with Wahoo Trainers. As for app compatibility, almost every app is compatible with the KICKR line of trainers. That’s one of the advantages of Wahoo Trainers. You just know it will work with almost every cycling app available. 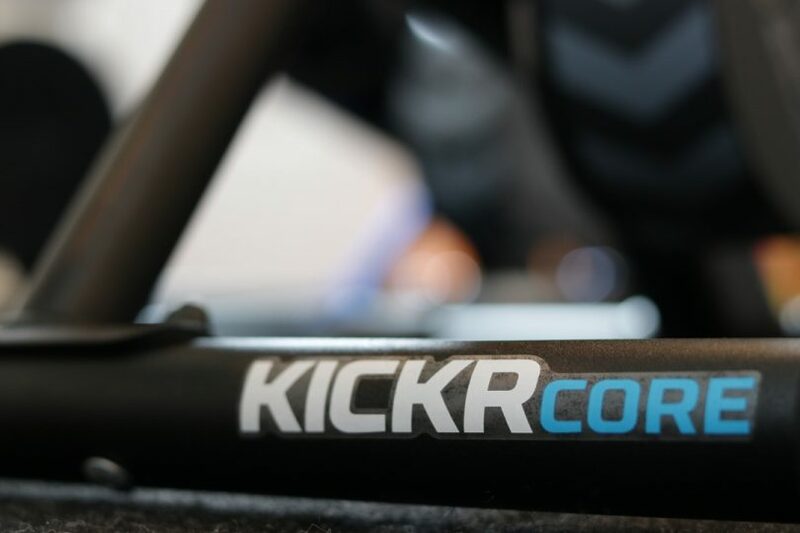 The KICKR CORE can also connect to any bike computer or device that support ANT+ or ANT+ FEC such as Garmin Edge devices or Wahoo Element or Element Bolt bike computers. The CORE is equipped with a 12 lbs flywheel. That’s almost as heavy as previous year’s KICKRs top of the line. Road feel felt just as good. You will get enough inertia going down descents to allow you to go into the tuck position in Zwift if it’s something you like to do. Wahoo claims +/-2 % power accuracy. That’s pretty good and I went on to prove their claim. Generally, with a 2% accuracy, you would expect to see a very close match with the occasional separation. So I am looking for a difference of around +/-3% assuming my powermeter can drift about +/-1%. I put the KICKR CORE against my Power2Max power meter and P1 Pedals to see how close they are. Generally, when looking at these numbers, keep in mind that many elements can affect the reading. My powermeter can have an off day or my bike computer can have its own issues. That’s why I put each trainer through a lot of test rides and collect as much data as possible. Even with that, unfortunately, I couldn’t get all three of my powermeters to cooperate this time. 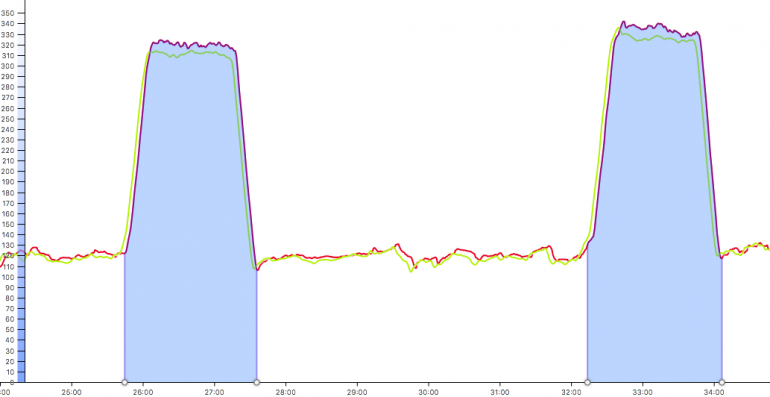 My P1 pedals powermeter was having its own temper tantrum and dropping signals. Generally, that’s not the case but I was able to sort of get one ride with all three working in harmony and I was happy with that. The good news is my Power2Max and KICKR CORE were working ok and I was able to compare data using both powermeters. I joined the Zwift Innsbruck tour and lasted 3 stages before I pulled my back and had to take a little break from riding. But at that time, I had collected enough data to feel comfortable posting my review. Here is a chart from one of the rides where my P1 pedal worked almost the whole way – except for that big signal dropout around minute 30. As you see, all three worked very well together. Basically, this is what I like to see. Both my Power2Max powermeter and KICKR CORE averaged 225 watts for the full ride. The CORE posted maximum watts of 754 where my Power2Max posted maximum watts of 624. Here is a section where I held over 400 watts for over a minute on a climb. You can see how all three were aligned almost together. My Power2Max was reading 420-425, but the CORE and P1 pedals were very close and both reading about 8 watts lower than my Power2Max. That’s less than 2% so we are still within range. Other rides looked very similar to this one so I am giving the CORE a pass. Here is one of the first rides I did in ERG mode. ERG mode smoothing was turned off. You can find ERG Mode smoothing in the Wahoo Fitness app and it’s usually turned on by default. If your intervals look very smooth and your power doesn’t drift by much then you have ERG mode smoothing turned on. I personally don’t like ERG mode smoothing and usually turn it off. This one was done with Zwift and everything looks fine except for the intervals above 300 watts. Here is a closer look at these two intervals. The difference was around 10 to 15 watts or 3%-5%. This is consistent to what other reviewers have seen such as DC Rainmaker and Shane Miller. Wahoo has been working on a fix and you will probably see a new firmware update to address this issue by the time you see this review. Here is a table showing the difference between the KICKR CORE and my powermeter (Power2Max). Everyting was within the +/-2% except for the 90-seconds intervals. Next, I wanted to test how consistent the KICKR CORE is. This is a new section I decided to add to my trainer reviews. Being able to jump on my bike and know that I can trust the power numbers is essential for me as an athlete. 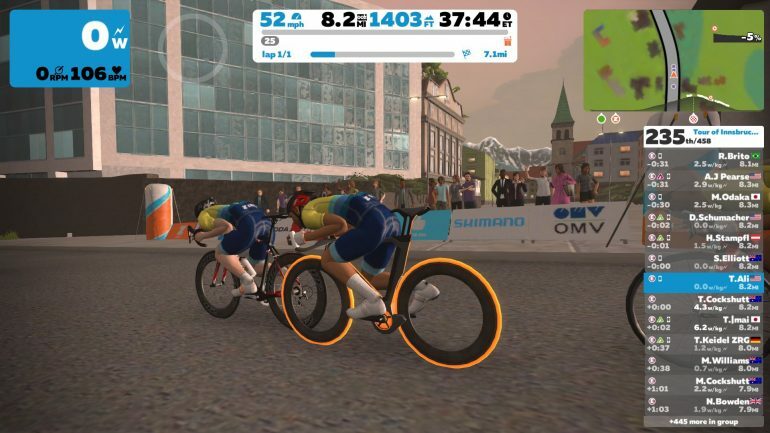 As you see below, the KICKR CORE was reading between 2% to 5% higher than my powermeter. This was all fixed and the numbers came back to within range once I re-calibrated the trainer. Wahoo does recommend calibrating their direct drive trainers every 7 to 10 days or if you move it around. As long as you recalibrate the trainer if you move it around or just after a week or two of use, you should see consistent results. Wahoo KICKR/CORE/SNAP can pair to your ANT+ power meter and allows it to control the KICKR resistance. In many cases, this simplifies the pairing process. You only need to pair the KICKR rather than pairing two separate devices. Also, this comes in handy in cases where you only use Bluetooth to connect and your power meter only supports ANT+. Other areas I found it to be useful is when using Apple TV to run Zwift and you prefer to use your powermeter rather than the KICKR as the power source. Apple TV can only pair to two Bluetooth devices and when this is enabled, you can just pair the KICKR as the power source and controllable trainer, freeing up another Bluetooth port for your heart rate monitor or cadence sensor. Also, when enabled, you don’t have to perform spin downs to calibrate your Wahoo KICKR/CORE/SNAP. 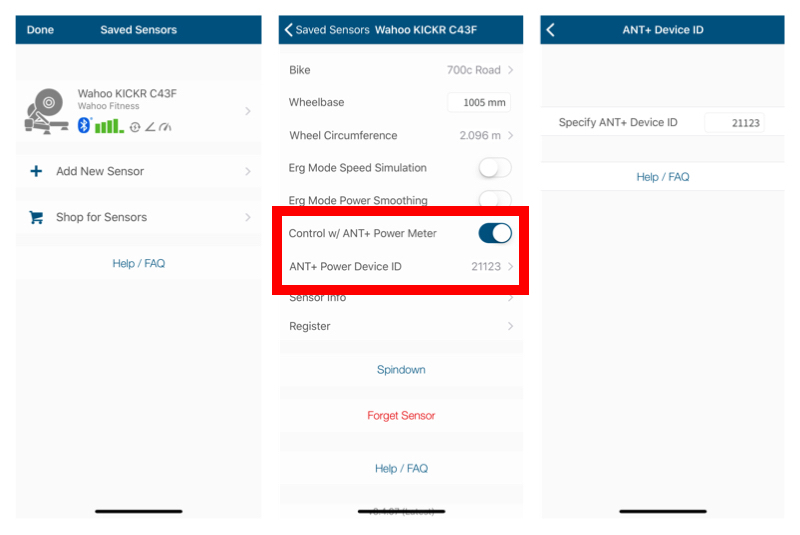 You need to use the Wahoo Fitness app to enable this feature and know your power meter ANT+ ID. The ID can be found on the power meter itself or if you pair it to a Garmin device, for example, you should be able to find it in you pair devices menu under more information. 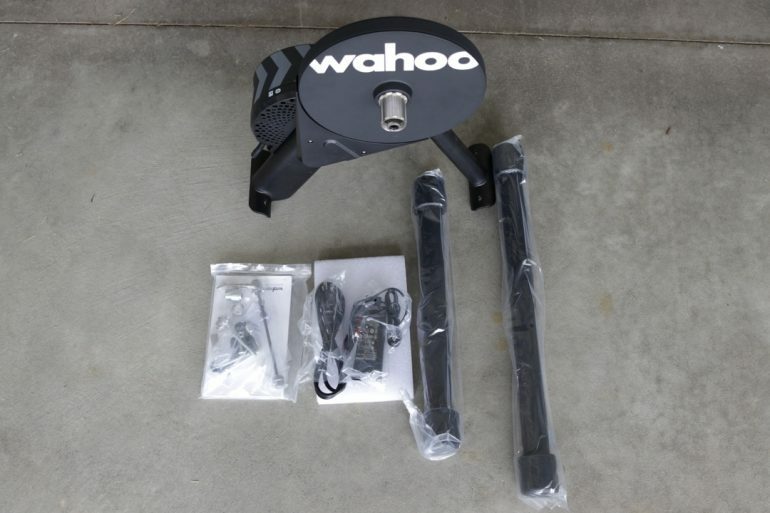 The noise of the Wahoo KICKR was one of the drawbacks that made me somewhat hesitant to recommend the Wahoo KICKR to anyone looking for a quiet trainer. This is no longer the case and I can say the CORE and KICKR 2018 are very quiet. Here is a video comparing the KICKR CORE and KICKR 2018 to KICKR 2017 and Tacx NEO. 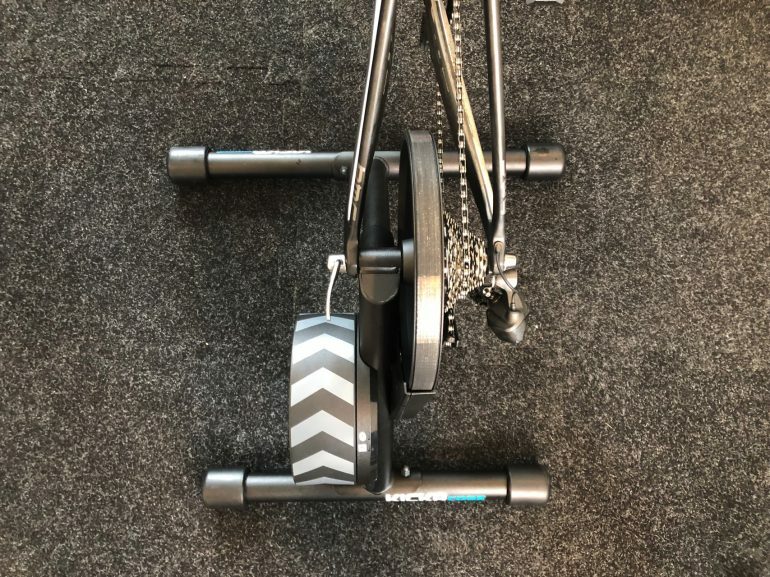 Other than the $300 cheaper price, The CORE uses a lot of the same technology and hardware in the Wahoo KICKR Direct drive trainer but with a smaller flywheel, less max power, and less max grade. The KICKR Core flywheel is 12 lbs. For comparison, the KICKR 2017 and previous generations had a 12.5 lbs flywheel. Wahoo SNAP has a 10.5 lbs flywheel. So ultimately you are getting the same flywheel as a 2017 KICKR has which is pretty darn good. Wahoo took almost everything that made the KICKR a favorite amongst athletes and created the CORE without cutting back on quality or specs and priced it for $900. That’s $300 cheaper than the KICKR. Sure it can only support up to 1,800 watts and maximum slope of 16% but I doubt any of you need more than that. 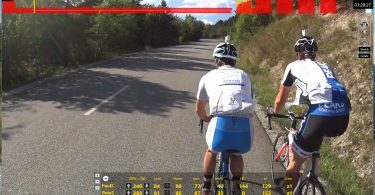 16% slope supports almost every incline in Zwift without an issue. Zwift has a maximum gradient of 17% and those are usually very short most of you probably missed them. The question here is not whether you should buy the CORE or not, it’s whether you should spend $300 more and get the main KICKR for $1,200. Taking the worst case scenario and assuming you need to buy an 11-speed cassette ($65), cassette plier ($40), a wrench ($25), and cadence sensor ($40). That’s $170 extra. So you will only be saving $130 if you decide to get the CORE instead of the KICKR. That’s 8 months worth of Zwifting, over 1-year of TrainerRoad membership, or an Apple TV 4K if you add a few more dollars to that. I think Wahoo nailed it with the KICKR CORE and if you are looking for a smart trainer, you will be very happy with the CORE. You can order the KICKR CORE Directly from Wahoo website or CleverTraining and get some rewards and free shipping. I hope you find this review helpful and please let me know below in the comment section if you have any question!